Synopsis: This mini love lesson covers love and IQ; the well loved human child; brains and love; love with smarts and success; what is well loved? ; and the smart parent challenge. Take any two babies of any mammal species (like rats, rabbits, monkeys, apes and humans) and the one most well-loved will likely be the smarter of the two. For baby rodents the lovingly licked and groomed will learn the psychologist’s maze faster and remember it longer than the one raised by less loving rodent parents. The cuddled, caressed, petted, kindly fed and comforted when upset larger mammals produce the same kind of results, indicating the better-loved ones are smarter than the lesser-loved ones. The same is true for every kind of primate where the well-loved appear smarter, handle stress better, are better at social interaction, are more curious, are less susceptible to disease and live longer. In laboratory tests the well-loved primates figure out puzzles faster, find hidden food sooner, obtain higher social rank and, oh yes, mate more often and make better parents to their own young later. A human child who receives lots of well demonstrated, loving touch in the form of hugs, cuddles, kisses, pats and strokes and verbal love especially in the form of affirmation including challenge and encouragement will score higher on IQ tests than children with lesser amounts of loving input. In research with at least some identical twins, raised separately, the twin who receives well-demonstrated love most likely will have a higher IQ than the one who receives less well-demonstrated love. 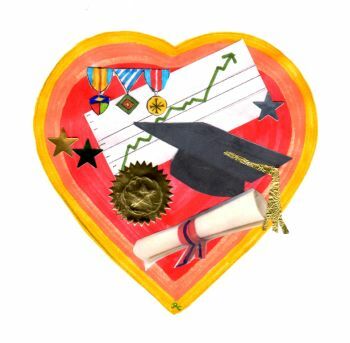 Children raised in poverty who receive more love actions in the first years of life are much more likely to go on to graduate from high school and much less likely to become felons than are children raised in poverty who receive less well-demonstrated love actions. Well-loved children also handle stress better and suffer much less from stress-related illnesses. This is especially true if in their environment there is loving attention given which helps these children feel securely loved. When scientists studying the brains of the well-loved versus the less-loved they have found distinct differences when they studied siblings, identical twins or just matched offspring. Brain scans and autopsies both show the brains of the better-loved are better built. Their neurological architecture is more complete, mature and functions more effectively. Well-loved infants of all mammal species studied tend to keep their neurochemistry better balanced and, thus, tend not to suffer from the disorders of neurochemical imbalances nearly as much as the less well-loved. The well-loved, human child grows up making better grades, attaining higher social status, actualizing talents more, and in just about every category succeeding more than the less well-loved child. There certainly are exceptions as in the less well-loved child who becomes better loved as an adult. The well-loved also have higher than average successes. There also is evidence to suggest that the high IQ children who were not so well-loved are more likely to experience more erratic success patterns. Especially do the well-loved do well in love relationships more than the less well-loved. Smarter individuals who focus on learning the skills of love are thought to do much better at love relationships than smarter individuals who do not focus on learning the skills of loving well. Being well-loved means receiving ample, skillful demonstrations of the eight groups of behavior, social scientists have discovered, convey love. It also means that when one is the recipient of these love-conveying behaviors, healthful brain chemistry reactions are triggered which in turn brings about physically and psychologically healthful results. Briefly stated, these groups of loving behaviors can be titled: Tactile Love, Expressional Love, Verbal Love, Gifting Love, Affirmation Love, Self-Disclosure Love, Toleration Love, and Receptional Love. 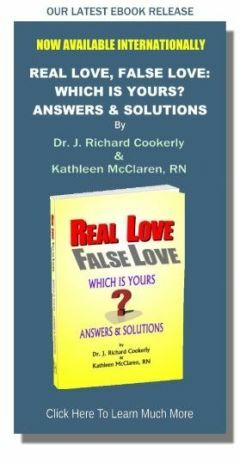 (Find more details about these loving behaviors in “Behaviors That Give Love – The Basic Core Four”, “A Behavioral (Operational) Definition of Love”, “Parenting Series: How To Love Your Child Better”. Also important are the mega-psycho-emotional categories of love actions which can be called Connection Love, Nurturing Love, Protective Love and Metaphysical Love. To learn more about all these I suggest you study the definitions, delineations and descriptions of love and love behavior entries at this site; you might start with “A Functional Definition of Love”. To learn more about helping your child be smarter and come to have a more successful, adult life you might read the following books: How Children Succeed by Dr. Paul Tough; to learn a lot more about helping young children have healthy brains and, therefore, better lives you might read Why Love Matters by Dr. Sue Gerhardt; to get a fuller understanding of the eight major ways of directly and effectively showing love you might read Recovering Love (in Part Two) by me, yours truly. Let me suggest you contemplate this. Smart loving parents study smart loving parenting. They look up research, they read, they take courses and classes, go to workshops and they learn every way they can. A lot is known and more is being discovered all the time, but too many parents don’t avail themselves of the knowledge. Those who do – do better and so do their children. Are you helping your brain health by being a good receiver of the love that is demonstrated to you, and are you being a good giver of love helping those you love have better brain health?